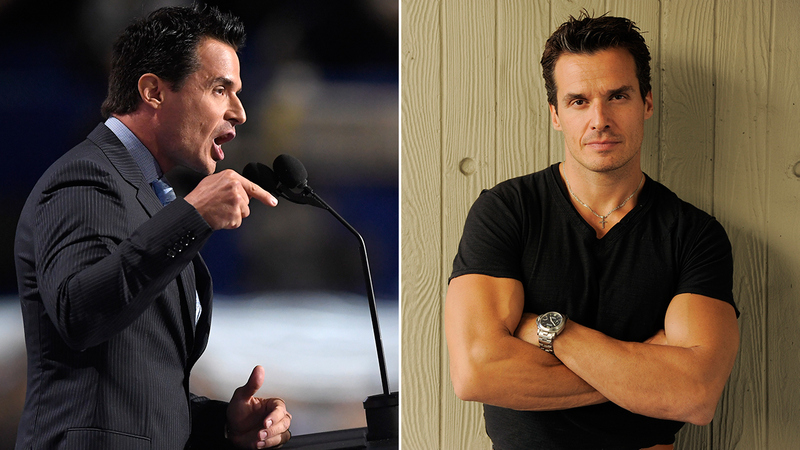 WESTLAKE VILLAGE, Calif. -- Actor and model Antonio Sabato Jr. is running for Congress in Southern California. Sabato, best known for his work on "Melrose Place," "General Hospital," "The Bold and the Beautiful" and as an underwear model for Calvin Klein will challenge Democrat Julia Brownley in California's 26th Congressional District, which represents northwest Los Angeles County and most of Ventura County. The 45-year-old filed paperwork with federal regulators to begin raising money for the contest. "Antonio Sabato Jr. has spent his entire adult life raising a family, running successful small businesses and giving back to his community. Antonio shares in the frustration of many voters across the political spectrum who believe government has failed them, which is why he has decided to run for Congress. Julia Brownley has been a professional politician most of her career and she has nothing to show for it. Antonio is very passionate about addressing our veterans' needs in a meaningful way, pursuing results oriented solutions for substance abuse, and comprehensive immigration reform. He looks forward to sharing his vision with the voters of California's 26th Congressional District." Sabato fundraiser Charles Moran said the actor and model wanted to concentrate on issues involving veterans, foreign affairs and substance abuse. Sabato endorsed President Donald Trump and spoke in support of him at the 2016 Republican National Convention in Cleveland. "Having secure borders and protecting our citizens, none of this is hateful," Sabato said to the crowd at the RNC. "This is the responsibility of the government and it's the right thing to do." At the RNC, Sabato told ABC News that he was "absolutely" certain that former President Barack Obama was a Muslim. Obama has always stated that he was a Christian. "I believe that he's on the other side," Sabato said. "(He's on the side of) the Middle East. He's with the bad guys. He's with them, he's not with us. He's not with this country." Sabato competed on season 19 of "Dancing with the Stars" in 2014 and finished in eighth place with his partner Cheryl Burke.